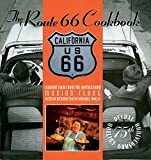 Successful road guides exist, but only Marian Clark's The Route 66 Cookbook provides a culinary guide to what Steinbeck dubbed "The Mother Road." Featuring more than 250 delicious recipes from places like the U Drop Inn, the Covered Wagon Trading Post, the Pig Hip, and the Bungalow Inn, this cookbook recreates old 66, with stories from the waitresses and cooks who poured the coffee and baked the pies. Marian Clark is the author of The Main Street of America Cookbook. She lives in Hereford, Texas. Michael Wallis is the author of several books, including Billy the Kid: The Endless Ride, Route 66: The Mother Road, and The Wild West: 365 Days. Clark and Wallis are the coauthors of Hogs on 66: Best Feed & Hangouts for Roadtrips on Route 66.